Training is an important part of our service to the customer. The better you know the programs, the more self sufficient and productive you can be. Your independence and effectiveness is our goal. Classes are offered on a monthly basis with subjects selected by customer preference and timed to coincide with the customer's business cycle. A list of scheduled topics is available to assist you in planning your next class. 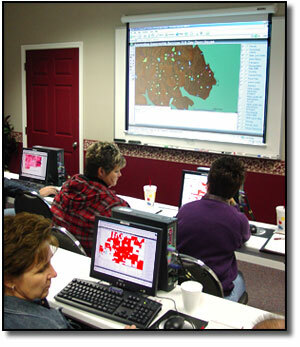 Classes	are conducted at our training center in Rogers. While you are at the training center you can meet our support staff in person; putting a face and name together helps you, and us when future support services are provided. Our typical classes begin around 9:00 AM and are finished by 3:00 PM, giving most folks time to travel to and from the class in the same day. To arrange a training session for new users or a refresher for new features, contact our offices by clicking here. 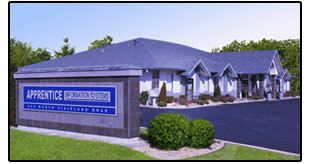 Our office is easy to find and both a map and driving directions are available below. These documents are Adobe Acrobat PDF files, so if you don't already have it, you can click the button below to get a FREE download of Acrobat Reader.